Scenario: You’ve planned a get-together with friends, one of whom is coming in from out-of-town. You’re meeting at a trendy new restaurant for dinner. You’ve never been to this restaurant and don’t know what to expect. You’ve looked up the menu online and there are some things that look like they might be good, but you’re not sure. All your friends are discussing what they’re going to wear and who else might be there. You’ve got a new pair of skinny jeans that you were thinking of wearing, but after listening to your friends go on and on, you’re re-thinking them now. You’re trying hard to act completely normal, say the right things, and get excited like everyone else, but inside you’re freaking out! Sound familiar? If so, you’re probably among the millions of other Americans who struggle with Social Anxiety. Social Anxiety is the fear of interacting with others and being judged or negatively evaluated by them. It leads to feeling self-conscious, like you’re under a microscope and everyone is noticing and evaluating every little thing you do. It also can lead to feelings of inadequacy, inferiority, embarrassment, humiliation and even depression. 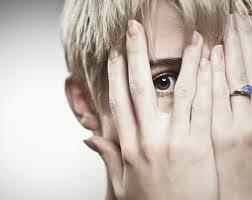 Social Anxiety, formerly known as “Social Phobia,” is a much more common problem than was recognized in the past. Millions of people worldwide are struggling daily with this difficult and often traumatic condition, in the form of either a specific social anxiety (like eating out in public) or a more generalized social anxiety (like being in any social situation). In the U.S., Social Anxiety is the third largest mental health care problem, trumped only by Depression and Alcoholism. Anxiety disorders in general affect 40 million adults in the United States age 18 and older, or 18% of U.S. population. Of those, 15 million struggle with Social Anxiety, which equates to 7% of the U.S. population. The strongest feeling people with Social Anxiety report is feeling misunderstood by others, which is ironic considering the sheer number of people struggling with this condition. So many of us are in the same anxious boat. Most people with Social Anxiety know that their anxiety is irrational and does not cognitively make sense. However, “knowing” something is not the same as “believing” or “feeling” it. Fortunately, there is hope to help get the mind and body on the same page and reduce and/or eliminate Social Anxiety all together. Getting the right kind of treatment is key. Often times working with an experienced therapist to learn new skills and change your relationship to the anxiety can make all the difference in the world. Learn to accept your anxiety or shyness, rather than trying to get rid of it. So you become anxious in social situations… it’s okay. Try to appreciate this as just one part of you. Focus on the whole experience, not just on what you’re doing or feeling. Become curious about your surroundings and pay attention to the others that you’re with. It’ll help take the focus off of what you’re feeling. Remember that you are not alone! At least 15 million other Americans are dealing with this challenge too. Maybe even someone else you’re with! Practice self-compassion. Just because you may have Social Anxiety does not diminish your worth or value as a person. You’re still awesome just the way you are! Recognize that this moment is just one moment in the whole string of moments that make up your life. It doesn’t define you, and it won’t last forever. The anxiety you feel in social situations won’t be there permanently; it will change. Test it out for yourself! Drwal, J. (2014). Mindfulness for the wallflower. Spirituality & Health, May/June, 44-45.